Much like how you like to gaze out at the world while you sip your coffee in the morning, your cat also likes a view while they lounge around the house. Even though they're not allowed outside, they should still be able to peek out at the world with stupendous views in-between naps throughout the day. 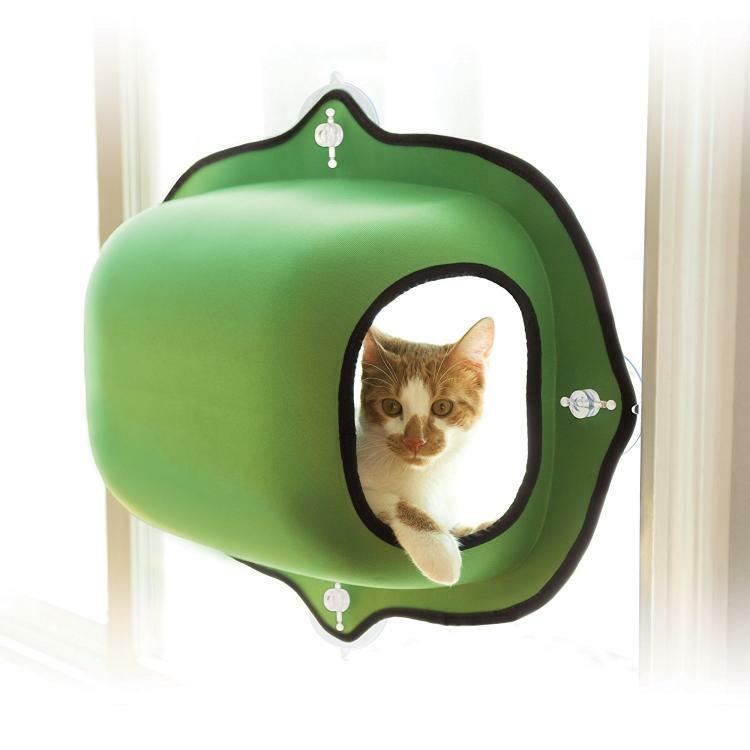 This little kitty pod lets you mount a cat bed right to your window, so that your cats entire wall is the window to the outside world. 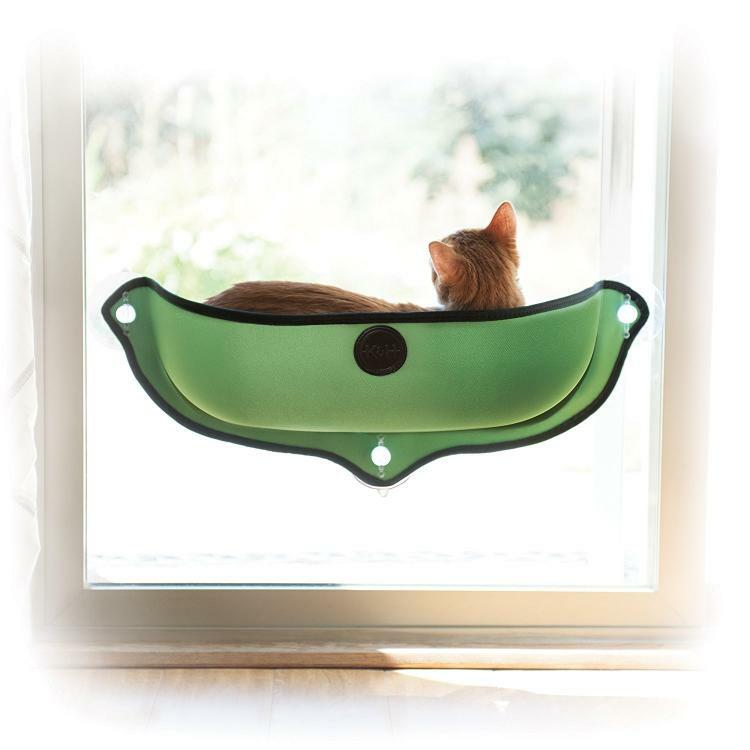 Perfect for mounting on your house windows or even in your car if your cat likes to take trips with you, the window mounted cat bed comes in a few different versions to select from. 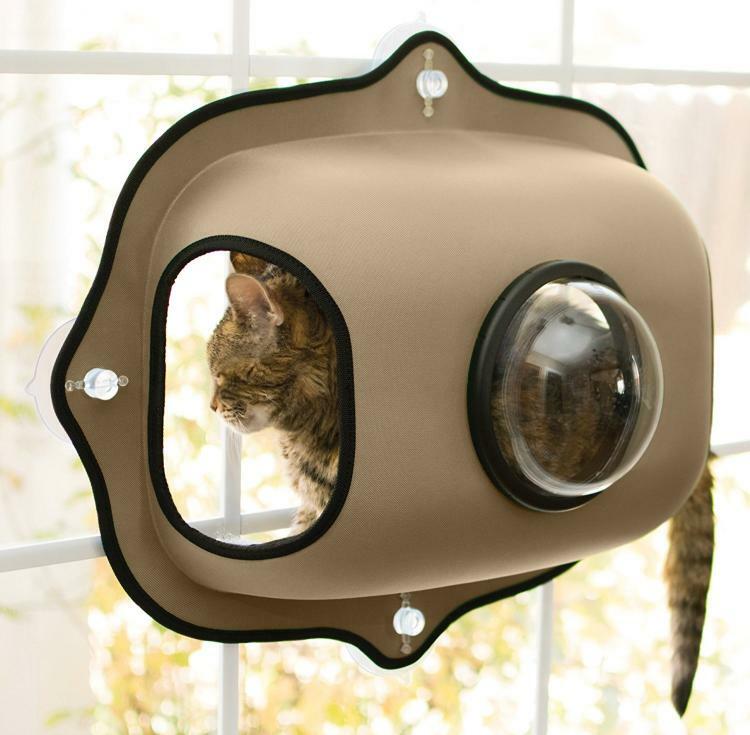 There's a standard full kitty pod that has two holes to enter and exit, there's the half kitty pod that just goes up half way, and then there's a bubble kitty pod that takes the full pod and adds a bubble window to the back for extra views. 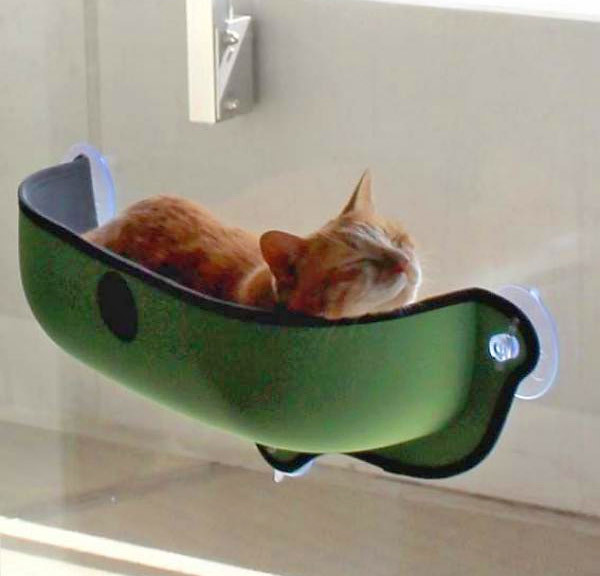 The window mounted cat bed mounts onto any window and acts as the perfect feline entertainment center that's out of the way and won't take up any room on the ground. 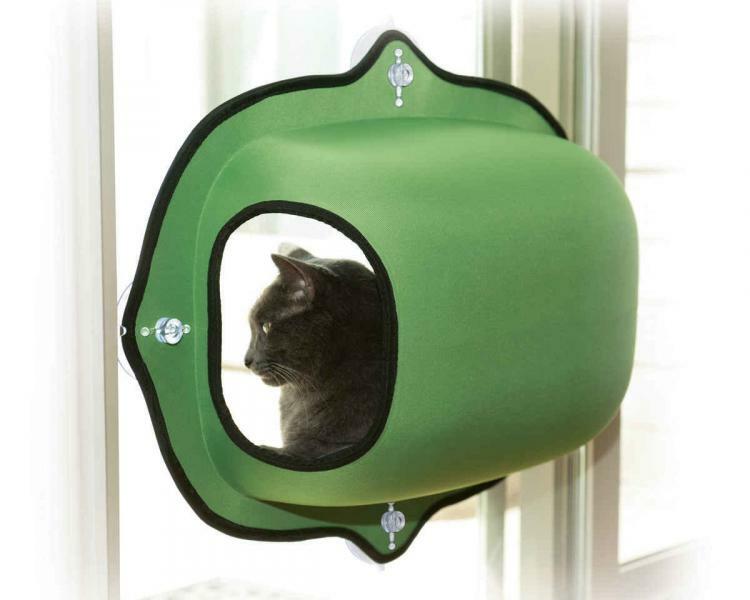 The window mounted kitty pod comes with a free kitty pad that you can place inside the pod for extra comfiness. 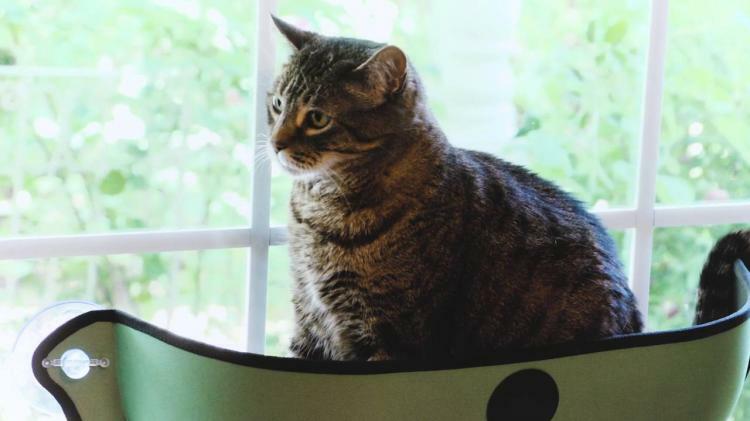 The high-quality suctions on the kitty pod can hold up to 60 lbs of weight, so no worries if your cat's a little overweight. 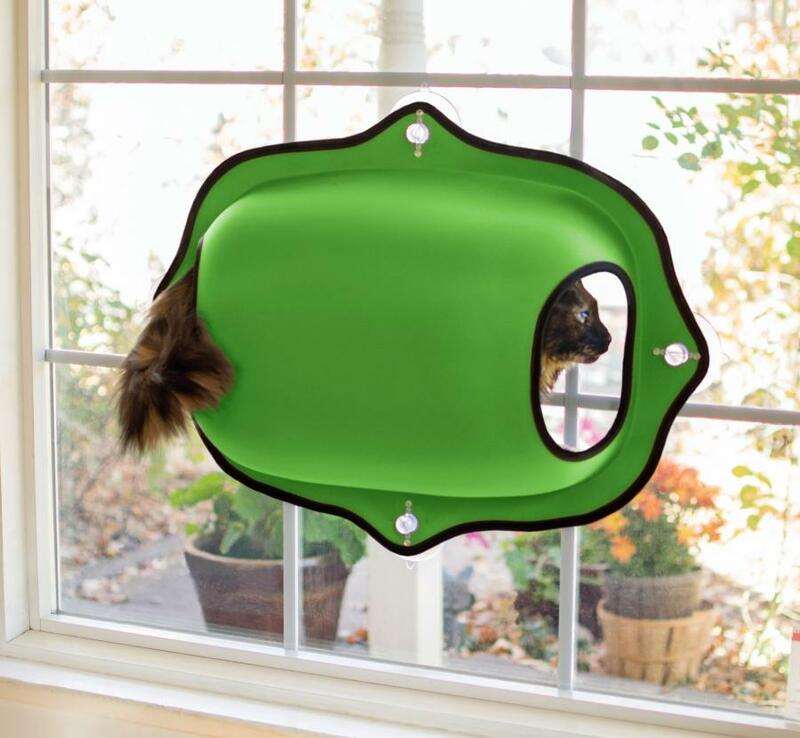 The window kitty pods come in a few different colors to choose from, come with a 1 year warranty, is easily installed onto any window in just seconds, and will vary in size depending on which version you get. 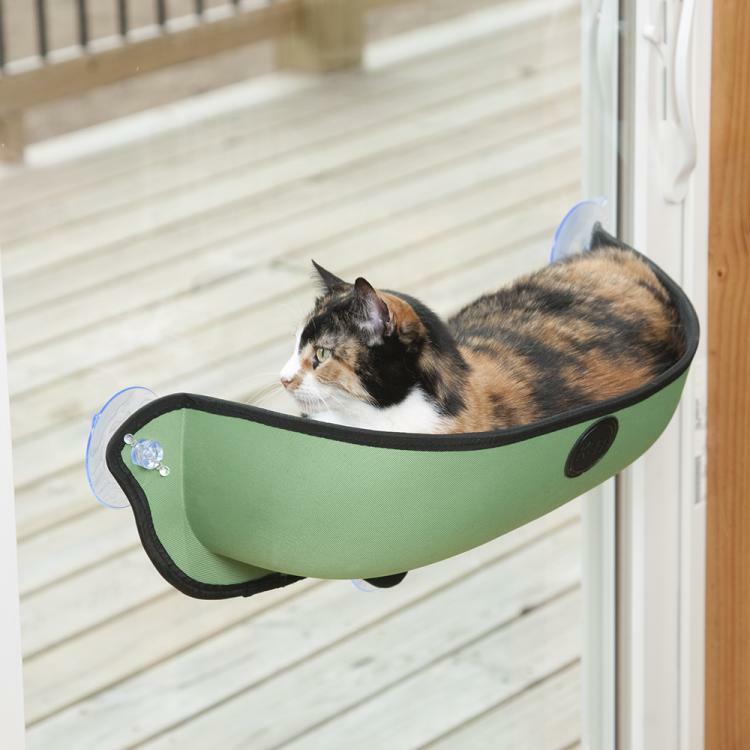 Check out the K&H EZ Mount Window Cat Bed Kitty Pod in action via the video below.